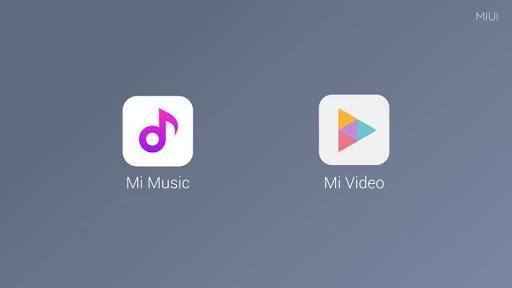 Xiaomi has launched two new apps — Mi Music and Mi Video — in partnership with various content partners including Hungama, Sony, Voot are some of the partners. The Chinese smartphone maker made the announcement at Mi Pop Play event held in Mumbai today. The new services mark Xiaomi’s move into offering value-added Internet services for local users. This information is coming at a time when DSTV is also working on launching their own dedicated video streaming app. Companies are beginning to ecploit the potentials on video platforms. Mi Music, Xiaomi’s pre-installed music app, offers a lifetime integration of music streaming services, with the option to store local music. The music service will also feature a Dynamic Lyrics feature, that will display the lyrics of various songs like a Karaoke app/player. The company will offer 13 million songs for its music streaming service that will cover 11 Indian languages. Importantly, Mi Music will partner with Hungama Music. Users can experience the Hungama Pro package as well, at an annual subscription fee of Rs 899. Meanwhile, Mi Video is Xiaomi’s pre-installed video app, which provides integrated video streaming across platforms. Users can expect an aggregation of video content from Hungama Play, SonyLiv and Voot for now, with other video services expected to follow suit. According to Indian Express, Mi Video can support 12 video formats such as .avi, .mp4, .mov, .mkv, and .mpeg among other, and presently offers 500,000 hours of content, of which almost 80 per cent is free. It also supports multi-lingual subtitles, multiple audio tracks, and private folders. Users will be able to cast video content from Mi Video to their smart TVs, as the player supports DLNA and Miracast. Xiaomi has continued to cater to its increasing user base in India. In its efforts, the company has also modified its skin, MIUI, to include India-specific features like Panchang Calendar, Copy OTP feature, and support for 13 Indic languages.